At CollaborativeHealth, we prided ourselves on our scientific know-how. We touted the pedigree of our board of experts: Álvaro Pascual-Leone, who researches neuroplasticity at Harvard Medical School, and June Gruber, then director of the Yale Positive Psychology Lab, to name a few. Then we found ourselves needing to convince truck drivers to use and like our wellness application. Our beta testing client was an energy company headquartered in the Southwest. Our target users came in three flavors: 1) short-haul truckers (mostly men) who worked nine to five driving back and forth from oil sites; 2) a smaller population of office workers (mostly women), and 3) hybrid employees that spent some time in the office and some time on the road. The 500 or so employees were spread across five offices, in locations like Stillwater, OK, Artesia, NM, and Bridgeport, TX. This didn’t seem daunting. The CEO “had a cousin from Arizona who lives in a trailer” and I was “from Michigan so I understood middle America.” Plus I had conducted regular Steve Krug-style user tests, so we thought we were okay to go. During the first week we had only sixty signups. During the second week, a few more. We kept waiting for that “hockey stick” growth, but none of our engagement tactics were working. Growth hacking, UX research, and arguably any startup job are ultimately about optimizing product-market fit. We needed to learn about our market, but we weren’t allowed to email or reach out to the client's employees. Instead, we were given contact info for a few “wellness champions” at each site. These wellness champions were self-selected, so some were popular among their coworkers, and others were less influential. The best insight we received from them, though, was that the truck drivers loved to go fishing. The idea was to use a popular pastime to create positive feelings toward corporate wellness, then amplify those feelings by incorporating a social, competitive element that would celebrate wins without making anyone feel bad all the while. By the end of our trial period, our signups and retention rate were seeing healthy growth. Afterward, our client-configurable “build-your-own-contest” web feature quickly became our best selling tool. RapidHealth initially launched with the “Health Core” as the landing page once a user logged in. After extensive user testing with mostly female office workers in Michigan, Connecticut, and New Jersey (aged 40-60), we created the checklist-style “Ideas for you” landing page. While the checklist helped drive more action-oriented engagement in our early users, it did nothing for the truck drivers (mostly male) in our pilot test. New landing page linked from on-boarding emails. Rather than introducing the Health Core as the first point of contact with our service, on-boarding emails linked directly to the fishing contest, for which employees at the pilot company had to create RapidHealth accounts to enter. 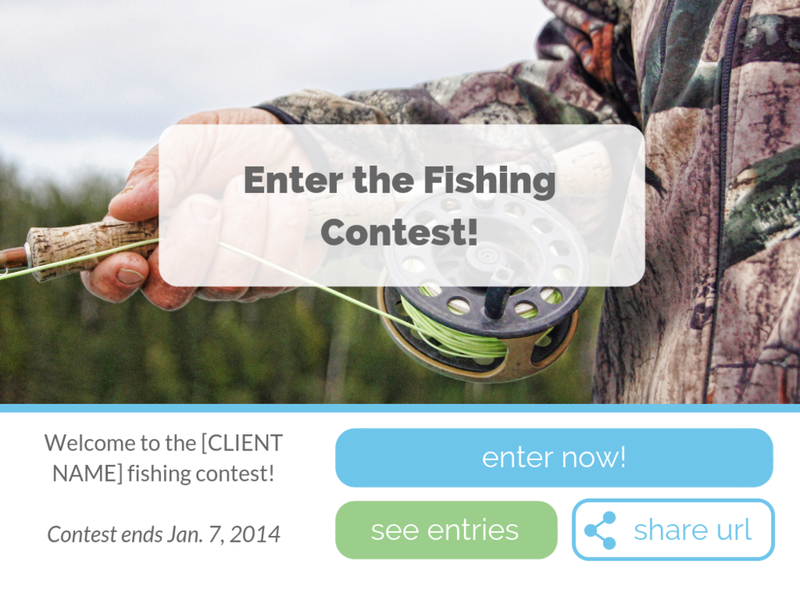 After entering and interacting with the various aspects of the contest (including linked content to “Goals” and “Actions” that related to fishing), the employee could “discover” the Health Core and tailor their RapidHealth experience accordingly. We knew that to engage our truck drivers, we had to create a low-stakes method of enabling competition. The most organic way to do that was to introduce a digital product that mimicked something they already did: puffing their feathers about the fish that they caught. By creating a digital counterpart for an activity that already existed, and crucially, enabling social conversation via comments and voting, we limited the amount of behavior change we were trying to introduce.